I just received a call from a dog lover across the country. She has a 16-year-old dog who has nerve damage and has no ability to use his back legs or hind quarters. For the last year or so, she had him going on walks with a doggy wheelchair, but he no longer has the strength. She can’t leave the house for long periods because he can’t be left alone. She hasn’t gone on a vacation in years. Every other week, he gets blocked and she has to help him defecate, an ordeal that keeps her up all night with him and causes him to howl (scream?) in pain. But most days, he just goes. Sounding embarrassed, she told me her house smells like pee. But… he has a good appetite, has more good days than bad, and is genuinely excited and happy to see her. He still has the spark. But the day when he doesn’t may come. The day when he has lots of bad days. The day when he no longer finds comfort in her gaze or caress. Is that when you know for sure it is time, she asked me? It is the one question I don’t know I’ll ever have an answer to. And as she told me her story, I told her mine. Two members of our family died this year of cancer. We lost our cat, Gina, to squamous cell carcinoma. And my wife lost an uncle, Steve,* to lung cancer. Both were surrounded by people committed to minimizing any pain or discomfort during the last weeks of their life. Both were surrounded by the people they loved and who loved them when they died. But their deaths could not have been more different. We “euthanized” Gina. Steve was allowed to die naturally. And this difference has raised significant ethical issues, which I am trying to sort out. In the past, I’ve never had an ethical dilemma with euthanasia for end of life in my irremediably suffering animal companions. I never hastily made the decision and have always waited until the very end, using “euthanasia” to prevent my companion animals from experiencing what I hope are only the last hours or, at most, day or two of suffering before they would die naturally. I do not believe it is acceptable to kill an animal at the point of a grave diagnosis or when death is not imminent; the open question is at the end-stages of a terminal disease when the animal deeply suffers. Only under those circumstances have I ever believed in the morality of such a decision. In other words, it is only when I have been certain that death was truly imminent that I have chosen to “euthanize”—to spare my animals the last, painful moments of their bodies shutting down. And in my advocacy for a No Kill nation, I have often said that our goal in sheltering is to bring “euthanasia” back to its dictionary definition: “the act or practice of killing or permitting the death of hopelessly sick or injured individuals in a relatively painless way for reasons of mercy.” I’ve tended to focus on the first part: “the act of killing” as opposed to the second, “permitting the death.” But the vivid contrast between the deaths of two members of my family, from the same disease simultaneously, has sharpened this issue for me. That doesn’t mean that I am second guessing the goals of the No Kill movement at this time in history. Today, the No Kill movement seeks to save all healthy and treatable animals, including ferals. Together, they comprise roughly 95 percent of shelter intakes in the United States. But the fact that the others are hopelessly ill, irremediably suffering, or vicious dogs doesn’t mean their killing isn’t ethically problematic. Truth be told, some of those in the remaining small percent are not suffering, so their killing raises a host of ethical issues. Some of these animals are living without pain, and can continue to do so, at least for a time. 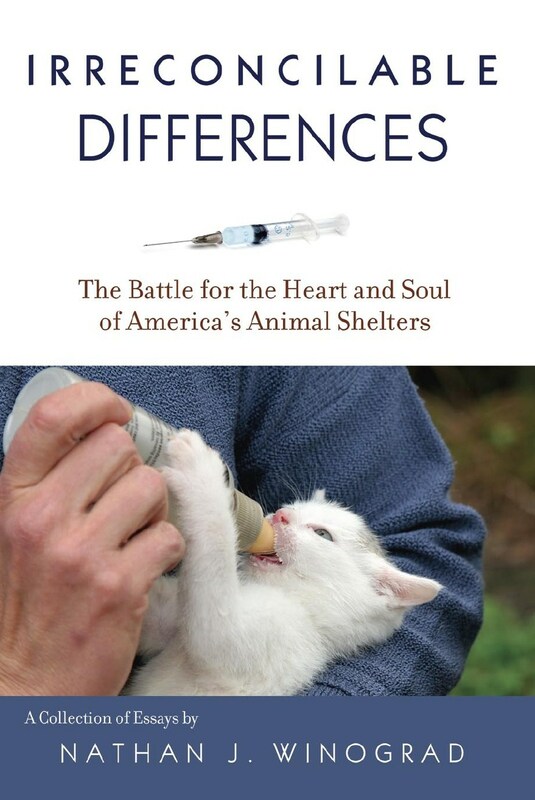 Right now, our great challenge in sheltering is between No Kill advocates who seek to modernize shelters and the archaic voices of tradition that say “killing is kindness.” Once those latter voices are silenced and No Kill’s hegemony is established, we will have to confront ethical quandaries within our own philosophy. These ethical quandaries include: killing dogs who are aggressive but can lead happy lives in sanctuaries where they cannot harm the public; and killing hopelessly ill animals rather than giving them hospice care. At the end of the day, we deceive ourselves when we think our ethical analysis will not change as our society offers greater compassion and rights for animals. I believe one of the debates we must have on a larger scale is the issue of “euthanasia,” even when it meets the dictionary definition. The question being: Is the idea of mercy killing always ethical? That it is not may be difficult to grasp when healthy animals are killed under the notion of “euthanasia” with the full support of groups like the American Veterinary Medical Association, the Humane Society of the United States, and even self-proclaimed animal lovers and animal activists. But the question should be proposed and evaluated thoughtfully, without a knee-jerk dismissal, or the regurgitation of platitudes that obscure more than they illuminate and provide apologia before real reflection begins. When Gina was nearing the end of her life, I faced a new dilemma that we haven’t really fully debated as a society or as a movement, although compassionate people are asking those questions more often—and some people have been asking them for a very long time. When human medicine determined that nothing more could be done for Steve, they turned to hospice care: to keeping Steve pain-free, as comfortable as possible, and in his home, surrounded by people he loved and who loved him. His hospice care nurse was well-trained and compassionate, and when she knew death was near, she asked that family come to say good-bye. Steve died peacefully, and without pain, surrounded by the people he loved. On a day when she looked really bad, when she had not eaten in a week, when she stumbled while walking, when she urinated and defecated on herself, when she no longer wanted to get up, when she no longer took comfort in being petted or held, and with a fear raging that we were prolonged her suffering by keeping her alive with fluids, long after she would have died on her own of dehydration (though no such concerns were presented about Steve despite the fact that he stopped eating weeks earlier), our determination to let her die naturally slipped away. There would be no “permitting the death of hopelessly sick or injured individuals in a relatively painless way for reasons of mercy.” We would follow the traditional “act or practice of killing,” although for the same reason. The veterinarian was compassionate in our taking of what remained of Gina’s life, as she had been during her entire illness. And as we held her, and told her how much we loved her, and thanked her for sharing her life with us, we watched as her veterinarian administered the fatal dose. And she drifted away from us. And I felt like I not only left my beautiful cat in that room, but a little part of my humanity. It has been said that rare is the individual who can see beyond the mores of his or her own time. I’ve always admired such people and try to emulate them. Even if I never get there, I strive to. I struggle to. That is why I read history; to remind myself that those in our past who have moved us forward were those who continually questioned the accepted values and beliefs of their time, and never let custom or the pervasiveness of a practice deter them from championing what they deduced to be right . In doing so, they laid out a vision for a more compassionate and ethical future for all of us. And so I continually question, and will continue to question, regardless of what may seem like a practical imperative, whether we go far enough in our actions for and in defense of our companion animal friends and family. It is a tremendous responsibility to speak for the interests of someone else—especially when that someone else cannot speak for themselves, especially when it involves life and death, and especially when it is someone you love, relying on you to champion their best interests. I continue to struggle about the decision to end Gina’s life, and hope I did the right thing. I have been assured by others that I did, but, for the first time in my life, I am not so sure. And I also can’t help but think of larger implications; that if hospice care were the norm and people no longer killed their companion animals even at the end-stages of their lives, or at the very least, if doing so was not the common choice, the ramifications for the sanctity of animal life would be tremendous. If the discussion were to unfold as a movement, as a society, within the veterinary community, and carried the same weight and gravity that it evokes when the topic relates to the same issue, but concerns our human family members, the impact on society’s tolerance for the mass killing in what we euphemistically call “shelters” (but are often little more than death camps) would be sea-changing. I believe that is what we owe the Ginas who allow us to share our lives with them. * Steve’s name has been changed to protect the privacy of his immediate family.